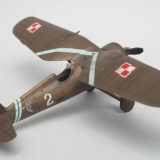 Model PZL P.11c was released a month ago, and number of online reviews are available online now. We have prepared a list of in-box and built reviews written in English for your convenience. Check them now please! 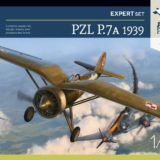 It has been over a week since the start of PZL P.11c model kits shipments. Many modellers already have them in their hands, many of the models have already hit the modelling workbench. There is a discussion on the Internet, the model is being analyzed, part by part. The time has come for a small summary of the project. 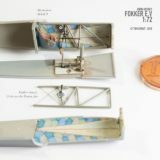 It is a great pleasure to present the first assembled and painted PZL P.11c model kit. The basic set – Junior Set, was built in only three days from cutting out the first parts to finish painting and weathering. 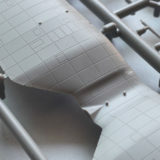 See photos and find out how this mini replica of the famous fighter is building together. 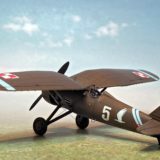 As many of our readers we can not wait to release of the PZL P11c model kit. Today early test shots photos are presented. Not all parts are well casted well, mould needed some adjustments after test shots. 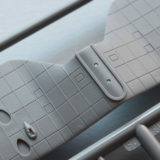 Some very nice features are clearly visible and you can see model kit advantages yourself. 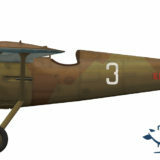 One of the most known “elevens” of the September 1939 is PZL P.11c airplane serialed “8.138” with “white 3” side marking. Its two-tone splinter camouflage is similar with the Luftwaffe schemes. Despite its popularity this extraordinary airplane is quite mysterious and very little is known about its history. 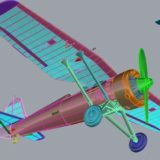 During the design of the P.11c model, it was necessary to verify the documentation and to determine precisely the features of the model version. After presenting the 3D model, we have received various questions and comments from modellers. Several elements in the model require a more detailed discussion. 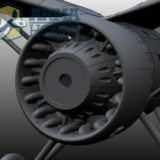 Our P.11 model kit contains parts that have been omitted or incorrectly performed on the models of this aircraft. See what you find in model kit.. 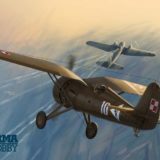 The PZL P.11c fighter aircraft model is in the final stages of preparation for release. We anticipate that it will be available for sale before the end of June 2018. See what sets we planned for the new kits! Resin Models Arma Hobby – will be continued! 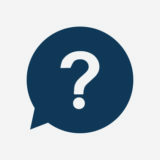 I am pleased that I can answer the many questions you have been asking us in recent months. In the e-mails and on Facebook, the topic of continuing the Arma Hobby resin line was still coming back. And today I can officially tell you who will keep the models of Arma Hobby and some of the Attack Squadron.